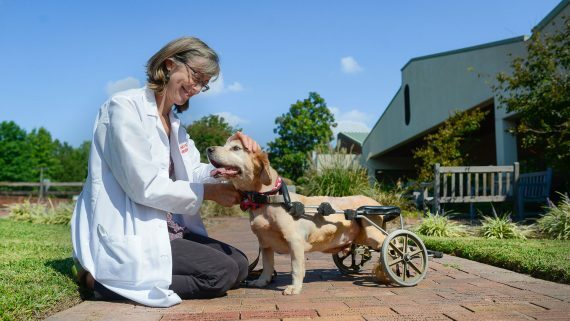 Natasha Olby gained her veterinary degree from Cambridge University in the UK in 1991, and after a brief period spent in mixed general practice, returned to Cambridge to complete a PhD in spinal cord injury and a surgical training. 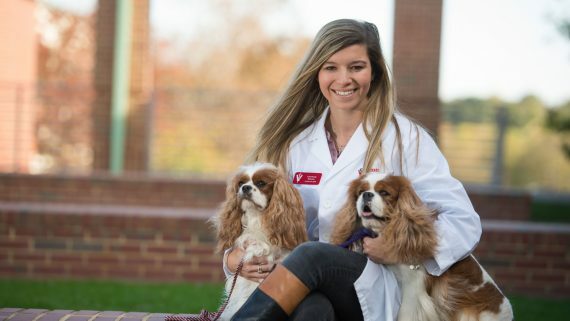 Following completion of her PhD and a post doctoral position, also focused on spinal cord injury, she moved to North Carolina State University to do a neurology/neurosurgery residency and she has stayed at NCSU as a faculty member since then. 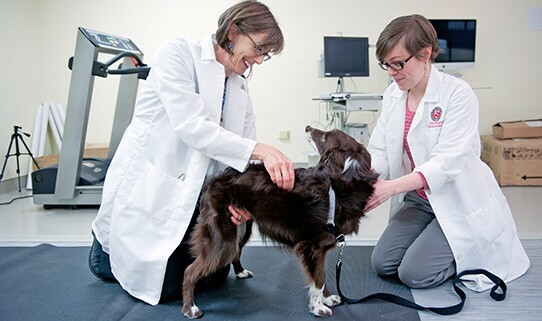 another endeavor that advances veterinary medicine. She is the author or co-author of more than 100 scientific publications, is the co-editor of both the British Small Animal Veterinary Association (BSAVA) Manual of Canine and Feline Neurology, and Advances in Veterinary Neurology, 2014. Vet Clinics of North America. 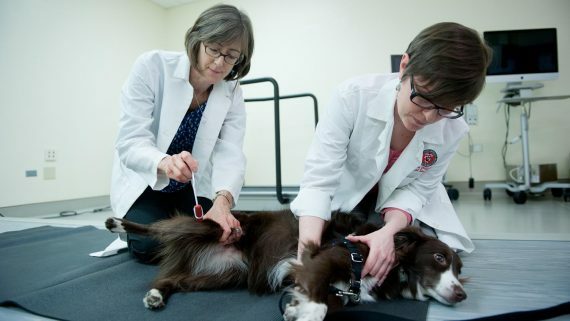 Additionally, Dr. Olby authors book chapters in a variety of veterinary textbooks and manuals. 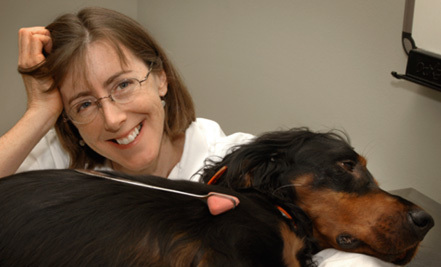 Natasha Olby is a professor of veterinary neurology and neurosurgery. 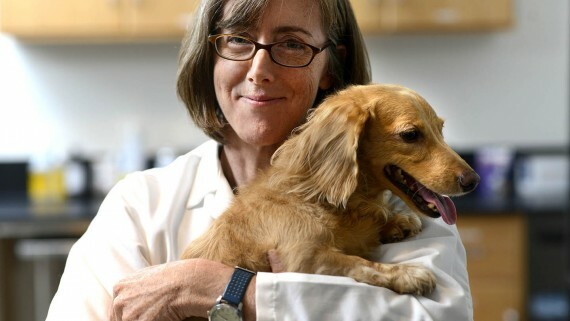 She is board certified in the American College of Veterinary Internal Medicine Neurology Specialty and is a past president of the organization (2008-2011). Predictors of response to potassium channel blockade in chronically paralyzed dogs. The effect of electromagnetic fields on postoperative pain and locomotor recovery in dogs with acute, severe thoracolumbar intervertebral disc extrusion: a randomized placebo-controlled, prospective clinical trial. The Effect of Pulsed Electromagnetic Field (PEMF) technologies on Neuropathic Pain and Itch in Cavalier King Charles spaniels with Chiari-like Malformation and Syringomyelia. (2018) The effect of electromagnetic fields on postoperative pain and locomotor recovery in dogs with acute, severe thoracolumbar intervertebral disc extrusion: a randomized placebo-controlled, prospective clinical trial.Zidan N, Fenn J, Griffith E, Early PJ, Mariani CL, Munana KR, Guevar J, Olby N. | J Neurotrauma 2018 Jan 8. doi: 10.1089/neu.2017.5485. (2017) Questionnaire-based Analysis of Owner-reported Scratching and Pain Signs in Cavalier King Charles Spaniels Screened for Chiari-like Malformation and Syringomyelia.Sparks CR, Cerda-Gonzalez S, Griffith EH, Lascelles BDX, Olby NJ. | J Vet Intern Med 2017 Nov 4. doi: 10.1111/jvim.14856. (2017) Magnetic resonance imaging features of dogs with incomplete recovery after acute, severe spinal cord injury.Lewis MJ, Cohen EB, Olby NJ. | Spinal Cord 2017 Oct 23. doi: 10.1038/s41393-017-0004-8. (2017) The Frequency and Clinical Implications of Bacteriuria in Chronically Paralyzed Dogs.Rafatpanah Baigi S, Vaden S, Olby NJ. | J Vet Intern Med 2017 Nov;31(6):1790-1795. doi: 10.1111/jvim.14854. Epub 2017 Oct 14. (2017) The Relationship between Lesion Severity Characterized by Diffusion Tensor Imaging and Motor Function in Chronic Canine Spinal Cord Injury.Lewis MJ, Yap PT, McCullough S, Olby NJ. | J Neurotrauma 2017 Nov 17. doi: 10.1089/neu.2017.5255. (2017) Clinical Characteristics of Dogs with Progressive Myelomalacia Following Acute Intervertebral Disc Extrusion.Castel A, Olby NJ, Mariani CL, Muñana KR, Early PJ. | J Vet Intern Med 2017 Nov;31(6):1782-1789. doi: 10.1111/jvim.14829. Epub 2017 Sep 29. (2017) Quantifying center of pressure variability in chondrodystrophoid dogs.Blau SR, Davis LM, Gorney AM, Dohse CS, Williams KD, Lim JH, Pfitzner WG, Laber E, Sawicki GS, Olby NJ. | Vet J 2017 Aug;226:26-31. doi: 10.1016/j.tvjl.2017.07.001. Epub 2017 Jul 20. (2017) Development of a clinical spasticity scale for evaluation of dogs with chronic thoracolumbar spinal cord injury.Lewis MJ, Olby NJ. | Am J Vet Res 2017 Jul;78(7):854-861. doi: 10.2460/ajvr.78.7.854. (2017) Genetics of Hereditary Ataxia in Scottish Terriers.Urkasemsin G, Nielsen DM, Singleton A, Arepalli S, Hernandez D, Agler C, Olby NJ. | J Vet Intern Med 2017 Jul;31(4):1132-1139. doi: 10.1111/jvim.14738. Epub 2017 May 29. (2017) The Relationship between Trans-Lesional Conduction, Motor Neuron Pool Excitability, and Motor Function in Dogs with Incomplete Recovery from Severe Spinal Cord Injury.Lewis MJ, Howard JF Jr, Olby NJ. | J Neurotrauma 2017 Nov 1;34(21):2994-3002. doi: 10.1089/neu.2017.5012. Epub 2017 Jun 16. (2017) Associations Between Anesthetic Variables and Functional Outcome in Dogs With Thoracolumbar Intervertebral Disk Extrusion Undergoing Decompressive Hemilaminectomy.Fenn J, Laber E, Williams K, Rousse CA, Early PJ, Mariani CL, Muñana KR, De Decker S, Volk HA, Olby NJ. | J Vet Intern Med 2017 May;31(3):814-824. doi: 10.1111/jvim.14677. Epub 2017 Mar 13. (2017) Evaluation of gene expression and DNA copy number profiles of adipose tissue-derived stromal cells and consecutive neurosphere-like cells generated from dogs with naturally occurring spinal cord injury.Lim JH, Koh S, Thomas R, Breen M, Olby NJ. | Am J Vet Res 2017 Mar;78(3):371-380. doi: 10.2460/ajvr.78.3.371. (2017) Targeting Translational Successes through CANSORT-SCI: Using Pet Dogs To Identify Effective Treatments for Spinal Cord Injury.Moore SA, Granger N, Olby NJ, Spitzbarth I, Jeffery ND, Tipold A, Nout-Lomas YS, da Costa RC, Stein VM, Noble-Haeusslein LJ, Blight AR, Grossman RG, Basso DM, Levine JM. | J Neurotrauma 2017 Jun 15;34(12):2007-2018. doi: 10.1089/neu.2016.4745. Epub 2017 Mar 22. (2016) Evaluation of a DLA-79 allele associated with multiple immune-mediated diseases in dogs.Friedenberg SG, Buhrman G, Chdid L, Olby NJ, Olivry T, Guillaumin J, O'Toole T, Goggs R, Kennedy LJ, Rose RB, Meurs KM. | Immunogenetics 2016 Mar;68(3):205-17. doi: 10.1007/s00251-015-0894-6. Epub 2015 Dec 28. (2016) Clinical characteristics of canine fibrocartilaginous embolic myelopathy (FCE): a systematic review of 393 cases (1973-2013).Bartholomew KA, Stover KE, Olby NJ, Moore SA. | Vet Rec 2016 Dec 24;179(25):650. doi: 10.1136/vr.103863. Epub 2016 Sep 28. (2016) Generation of pure cultures of autologous Schwann cells by use of biopsy specimens of the dorsal cutaneous branches of the cervical nerves of young adult dogs.Lim JH, Olby NJ. | Am J Vet Res 2016 Oct;77(10):1166-74. doi: 10.2460/ajvr.77.10.1166. (2016) Clinical and Diagnostic Imaging Features of Brain Herniation in Dogs and Cats.Lewis MJ, Olby NJ, Early PJ, Mariani CL, Muñana KR, Seiler GS, Griffith EH. | J Vet Intern Med 2016 Sep;30(5):1672-1680. doi: 10.1111/jvim.14526. Epub 2016 Sep 12. (2016) Longitudinal Study of the Relationship among Craniocervical Morphology, Clinical Progression, and Syringomyelia in a Cohort of Cavalier King Charles Spaniels.Cerda-Gonzalez S, Olby NJ, Griffith EH. | J Vet Intern Med 2016 Jul;30(4):1090-8. doi: 10.1111/jvim.14362. Epub 2016 Jun 17. (2016) Recovery of stepping and coordination in dogs following acute thoracolumbar intervertebral disc herniations.Rousse CA, Olby NJ, Williams K, Harris TL, Griffith EH, Mariani CL, Muñana KR, Early PJ. | Vet J 2016 Jul;213:59-63. doi: 10.1016/j.tvjl.2016.04.002. Epub 2016 Apr 8. (2016) Acute change in neurological level following canine intervertebral disc herniation.Castel A, Olby NJ. | J Small Anim Pract 2016 Apr;57(4):220. doi: 10.1111/jsap.12445. (2015) Dorsal compressive atlantoaxial bands and the craniocervical junction syndrome: association with clinical signs and syringomyelia in mature cavalier King Charles spaniels.Cerda-Gonzalez S, Olby NJ, Griffith EH. | J Vet Intern Med 2015 May-Jun;29(3):887-92. doi: 10.1111/jvim.12604. (2015) Medullary position at the craniocervical junction in mature cavalier King Charles spaniels: relationship with neurologic signs and syringomyelia.Cerda-Gonzalez S, Olby NJ, Griffith EH. | J Vet Intern Med 2015 May-Jun;29(3):882-6. doi: 10.1111/jvim.12605. Epub 2015 Apr 30. (2015) Histiocytic sarcoma with central nervous system involvement in dogs: 19 cases (2006-2012).Mariani CL, Jennings MK, Olby NJ, Borst LB, Brown JC Jr, Robertson ID, Seiler GS, MacKillop E. | J Vet Intern Med 2015 Mar-Apr;29(2):607-13. doi: 10.1111/jvim.12554. Epub 2015 Feb 25. (2015) Clinical characteristics of Scottie Cramp in 31 cases.Urkasemsin G, Olby NJ. | J Small Anim Pract 2015 Apr;56(4):276-80. doi: 10.1111/jsap.12317. Epub 2015 Jan 20. (2015) A rare homozygous MFSD8 single-base-pair deletion and frameshift in the whole genome sequence of a Chinese Crested dog with neuronal ceroid lipofuscinosis.Guo J, O'Brien DP, Mhlanga-Mutangadura T, Olby NJ, Taylor JF, Schnabel RD, Katz ML, Johnson GS. | BMC Vet Res 2015 Jan 3;10:960. doi: 10.1186/s12917-014-0181-z. (2013) Intervertebral disk degeneration in dogs: consequences, diagnosis, treatment, and future directionsJeffery ND, Levine JM, Olby NJ, Stein VM | J Vet Intern Med 2013 Nov-Dec;27(6):1318-33. doi: 10.1111/jvim.12183. Epub 2013 Sep 6. (2012) The cutaneous trunci muscle reflex: a predictor of recovery in dogs with acute thoracolumbar myelopathies caused by intervertebral disc extrusions.Muguet-Chanoit AC, Olby NJ, Lim J-H, Gallagher R, Niman Z, Dillard S, Campbell J, Early P, Mariani C, Munana KR, Freeman C, Platt SR, Kent M, Giovenella C, Longshore R | Vet Surg 2012 Feb;41(2):200-6. doi: 10.1111/j.1532-950X.2011.00921.x. Epub 2011 Dec 8. 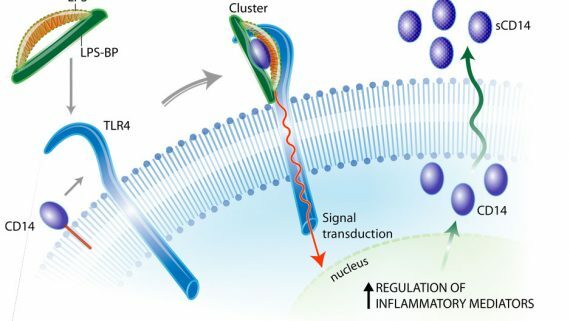 (2011) The sensory field and repeatability of the cutaneous trunci muscle reflex in the dogMuguet-Chanoit AC, Olby NJ, Babb K, Lim J-H, Gallagher R, Niman Z, Dillard S, Campbell J | Vet Surg 2011 Oct;40(7):781-5. doi: 10.1111/j.1532-950X.2011.00888.x. (2009) Pharmacokinetics of 4-aminopyridine derivatives in dogs.Olby NJ, Smith DT, Humphrey J, Spinapolice K, Parke N, Mehta PM, Dise D, Papich M. | J Vet Pharmacol Ther. 2009 Oct;32(5):485-91.PMID: 19754916. (2009) Characteristics of Cerebrospinal Fluid Flow in Cavalier King Charles Spaniels Analyzed Using Phase Velocity Contrast Cine Magnetic Resonance Imaging.Cerda-Gonazalez S, Olby NJ, Broadstone R, McCullough S, Osborne JA. | Vet Radiol Ultrasound 2009 Sep-Oct;50(5):467-76. Dr. Olby was primary advisor. (2009) Putting our heads together: insights into genomic conservation between human and canine intracranial tumors. Thomas R, Duke SE, Wang H, Breen T, Higgins RJ, Linder K, Ellis P, Langford CF, Dickinson PJ, Olby NJ and Breen M. | Journal of neuro-oncology 2009 Sep;94(3):333-49. doi: 10.1007/s11060-009-9877-5. Epub 2009 Mar 31. (2009) Genome-wide association analysis identifies a SOD1 missense mutation in dogs with degenerative myelopathy: A spontaneous animal model for amyotrophic lateral sclerosisAwano T, Johnson GS, Wade CM, Katz ML, Johnson GC, Taylor JF, Perloski M, Biagi T, Long S, March PA, Olby NJ, Khan S, OBrien DP, Lindblad-Toh K & Coates JR. | Proc Nat Acat Sci 2009;106:2794-9. (2009) Pharmacogenetic association study of 30 genes with phenobarbital drug response in epileptic dogs.Kennerly EM, Idaghdour Y, Olby NJ, Muñana KR, Gibson GC. | Pharmacogenetics and Genomics 2009; 19:911-922. (2007) Neurologic Dysfunction in Hypothyroid, Hyperlipidemic Labrador Retrievers.Vitale C, Olby NJ. | J Vet Int Med 2007;21:1316-22. Dr. Olby was primary advisor. (2007) Clinical Characterization of a Familial Degenerative Myelopathy in 21 Pembroke Welsh Corgi DogsCoates JR, March PA, Oglesbee M, Ruaux CG, Olby NJ, Berghaus RD, OBrien DP, Keating JH, Johnson GS, Williams DA. | J Vet Int Med 2007;21:1323-31. (2007) Congenital portosystemic shunts in six mature dogs with neurologic signs.Windsor RC, Olby NJ. 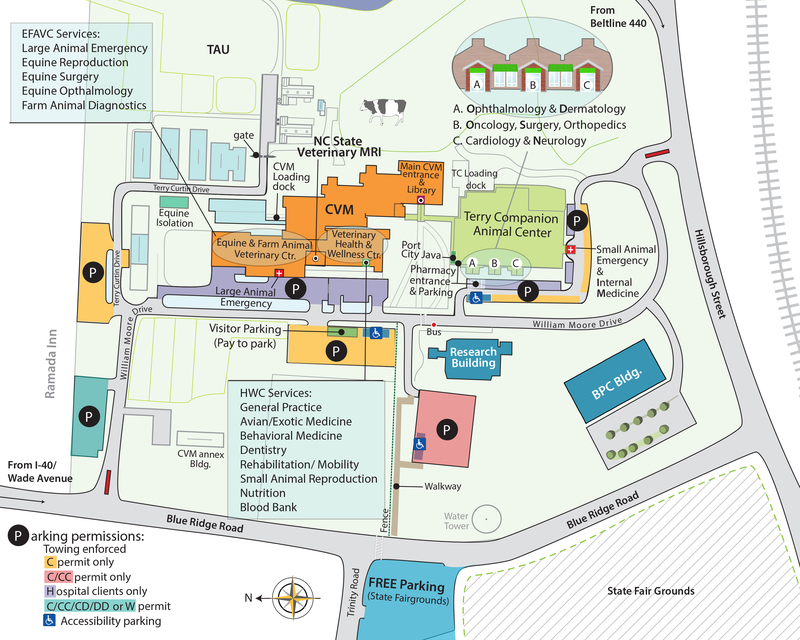 | J Am Anim Hosp Assoc 2007;43:322-31. Dr. Olby was primary advisor. (2006) Correlation between reverse transcriptase (TERT) expression and MIB-1 expression in canine brain tumors- an important animal model for developing telomerase based therapeutics.Long S, Nicholson I, Argyle DJ, Nixon C, Botteron C, Olby N, Smith K, Rutteman G, Nasir, L. | Neuropath Appl Neurobiol 2006;32:662-73. (2005) Microarray analysis of differentially expressed genes of primary tumors in the canine central nervous system.Thomson S, Kennerly E, Olby N, Mickelson JR, Hoffman DE, Dickinson PJ, Gibson G, Breen B. | Vet Pathol 2005;42:550-8. (2004) Comparison of regional gene expression differences in the brains of the domestic dog humans.Kennerly E, Thomson S, Olby N, Breen B, Gibson G. | Human Genomics 2004;1:435-43. (2004) Cortical Degeneration in Adult American Staffordshire Terriers.Olby, N.J. Blot S, Thibaud J-L, Phillips J, O'Brien DP, Burr J, Berg J, Brown T, Breen M Cerebellar | J Vet Intern Med 2004;18:201208. (2004) Recovery of pelvic limb function in dogs following acute intervertebral disc herniationsOlby, N.J. Harris, T., Burr, J., Muñana, K.R., Sharp, N.J.H. & Keene, B. | J Neurotrauma 2004;21:49-59. (2004) Behavioural analysis for clinical spinal cord injury trials in veterinary medicine.Webb AA, Jeffery ND, Olby, N.J., Muir GD. | Vet Rec 2004;155:225-230. (2004) Stabilisation of scoliosis in two koi (Cyprinus carpio).Govett PD, Olby NJ, Marcellin-Little DJ, Rotstein DS, Reynolds TL, Lewbart GA. | Vet Rec 2004 Jul 24;155(4):115-9. (2003) Use of a multiplex polymerase chain reaction assay in the antemortem diagnosis of toxoplasmosis and neosporosis in the central nervous system of cats and dogs.Schatzberg SJ, Haley NJ, Barr SC, deLahunta A, Olby N, Muñana K, Sharp NJ. 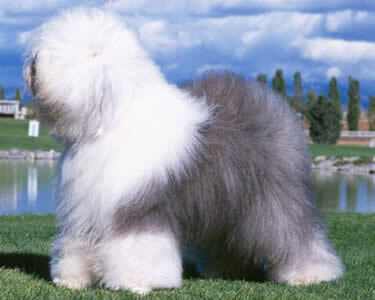 | American Journal of Veterinary Research 2003 Dec;64(12):1507-13. (2003) The relationship between basilar artery resistive index, degree of ventriculomegaly and clinical signs in hydrocephalic dogs.Saito, M., Olby, N.J., Spaulding, K, Muñana K.R., Sharp, N.J.H. | Vet Radiol Ultrasound 2003;44:687-94. Dr. Olby was primary advisor. (2003) Long term functional outcome of dogs with severe thoracolumbar spinal cord injuries.Olby, N.J., Harris T., Muñana, K., Skeen, T., & Sharp, N.J.H. | J Am Vet Med Assoc 2003; 222:762-769. (2003) Spinal arachnoid cysts in 17 dogsSkeen, T, Olby, N.J. Muñana, K & Sharp, N.J.H. | J Am Anim Hosp Assoc. 2003;39:271-82. Dr. Olby was primary advisor. (2002) The Use of Vagal Nerve Stimulation as a Treatment for Refractory Epilepsy in Dogs.Muñana, K.R., Vitek, S.M., Tarver, W.B., Haglund, M.M., Saito, M., Skeen, T.M., Sharp, N.J.H., Olby, N.J. | .J Am Vet Med Assoc. 2002;221:977-83. (2002) Post-operative recovery and long term follow-up in 21 dogs undergoing dorsal laminectomy for caudal cervical spondylomyelopathy.De Risio L, Muñana K, Murray M, Olby N, Sharp N, Cuddon P. | Veterinary Surgery 2002;31:418-427. (2001) Diagnosis of arachnoid cysts in the quadrigeminal cistern using ultrasonography.Saito, M., Olby, N.J., & Spaulding, K. | Vet Rad US 2001;42:435-439. Dr. Olby was primary advisor. (2001) Risk factors for development of status epilepticus in dogs with idiopathic epilepsy and effects of status epilepticus on outcome and survival time: 32 cases (1990-1996).Saito M, Muñana KR, Sharp NJH, Olby NJ. | Journal of the American Veterinary Medical Association 2001;219:618-623. (2001) Predictors of outcome after dorsal decompressive laminectomy for degenerative lumbosacral stenosis in dogs: 69 cases (1987-1997).De Risio L, Sharp NJ, Olby NJ, Munana KR, Thomas WB. | J Am Vet Med Assoc. 2001;219624-8. (2001) Intervertebral disc disease in 10 cats.Muñana KR, Olby NJ, Sharp NJH, Skeen T. | Journal of the American Animal Hospital Association 2001;37:384-389. (2001) Evaluation of the dystrophin-glycoprotein complex, alpha-actinin, dysferlin and calpain 3 in an autosomal recessive muscular dystrophy in Labrador retrievers.Olby, N.J. Sharp, N.J.H., Anderson, L.V.B., Kunkel, L.M. & Bönnemann, | Neuromusc Disord. 2001;11, 41-49. (1999) Chronic and acute compressive spinal cord lesions in dogs due to intervertebral disc herniation are associated with elevation in lumbar CSF glutamate concentration.Olby, N.J., Sharp, N.J.H., Muñana, K. & Papich, M. | J. Neurotrauma 1999;16,1217-1226. (1999) Current concepts in the management of acute spinal cord injury.Olby, N.J. | J Vet Int Med 1999;13, 399-407. (1999) Molecular analysis of a spontaneous dystrophin knockout dog.Schatzberg, S., Olby. N., Steingold, S., Dickens, H., Breen, M. & Sharp. N. | Neuromusc Dis. 1999; 9, 289-295. (1999) A polymerase chain reaction (PCR) screening strategy for the canine dystrophin promoter.Schatzberg, S., Olby. N., Steingold, S., Keene, B. Atkins, C., Meurs, K., Solomon, G., Wilton, S. & Sharp. N. | Am J Vet Res. 1999; 60, 1040-1046. (1996) Primary demyelination and regeneration of ascending axons in the dorsal funiculus of the rat spinal cord following photochemically-induced injury.Olby, N.J. & Blakemore, W.F. | J Neurocytol. 1996; 25, 465-480. (1996) Reconstruction of the glial environment of an ischaemic lesion in the rat spinal cord by transplantation of astrocytes.Olby, N.J. & Blakemore, W.F. | J Neurocytol. 1996;25, 481-498. (1996) A new method of quantifying the extent of tissue loss following spinal cord injury in the rat.Olby, N.J. & Blakemore, W.F. | Exp Neurol 1996;138, 82-92. (1995) The use of transplanted glial cells to reconstruct glial environments in the C.N.S.Blakemore, W.F., Olby, N.J. & Franklin, R.J.M. | Brain Pathol 1995;5, 443-450. (1995) The effect of injection technique on the passive spread of cells immediately following transplantation into rat spinal cord white matter tracts.Olby, N.J., O'Leary M.T., Targett, M.P. & Blakemore, W.F. | Rest Neurol Neurosci. 1995; 7, 171-174. (1994) Correlation of plain radiographic and lumbar myelographic findings with surgical findings in thoracolumbar disc disease.Olby, N.J., Dyce, J. & Houlton, J.E.F. | J Sm Anim Pract 1994;35, 345-350.